Wow! Where has the time gone? Just a few weeks ago we were celebrating the holidays and now it’s mid January. I swear time goes by more quickly as you get older! 2018 was filled with ups and downs, but thankfully, mostly ups for me. At the end of May and the beginning of June, I spent a fantastic two weeks in LA (and San Diego for a weekend) and got to meet up with some of my fave green beauties like Rosie, Nary, and Mia and also caught up with a couple of my absolute favorite green beauty brands: African Botanics and Lina Hanson (they’re both as lovely and amazing as they seem)! In August I attended my very first Indie Beauty Expo in NYC helping my dear friend, Celestyna, officially launch her new brand AMBAR — which was such an incredible experience! While in NYC, I also caught up with my bestie Tricia, and met up with my friend Lin from Pink Moon Co. and the wonderful Ervina, the co-founder of 5YINA. In September, I met up with the beautiful Laura of Henné Organics. It felt like she was like a long-lost friend — we could’ve talked for hours! Last year, I also became a brand ambassador for some of my fave green beauty brands: MŪN, Lina Hanson, Bella Aura, and Beauty Heroes and even an ethical and conscious clothing brand, LIVELY. What an honor! I’ve been loving every minute being an ambassador for these amazing, admirable brands. 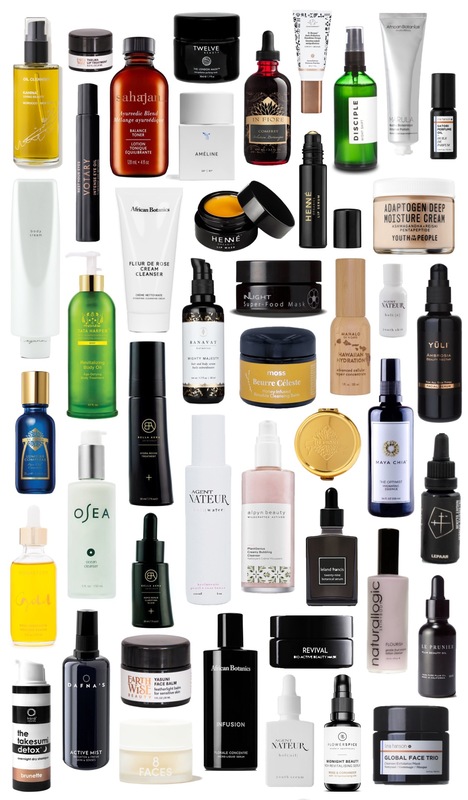 It always amazes me how many awesome new green beauty brands / products I discover each year! Last year, in 2018, I was completely enamored with new / new-to-me brands like Agent Nateur (the founder, Jena, is the real deal, btw! ), Monastery Made, Disciple Skin, Alpyn Beauty, Flower and Spice, Luzern Labs, Chuck and Sam, and NATURALLOGIC (Toni is just the sweetest! ), just to name a few. I also got to try some new products from several of my tried and true brands, too — yay! While I would love to feature all of the wonderful brands and products I discovered this past year, I could only include the products that really wowed me last year — products that I felt like were truly the best of 2018! Instead of doing three “best of” lists like I did for 2017, I’m only doing one for 2018 — it’s a much more succinct list but I think it makes more sense to do it this way. Oh, one last thing to mention — not all of the products in my list are pictured in the graphic above. I simply ran out of room — sorry! And there you have it! These products are what I consider to be the best of 2018! I’d love to hear what your best / favorite products were this past year, so please feel free to comment with them below! Products denoted with a “*” were kindly gifted to me for consideration. All recommendations and opinions expressed are my own. This post contains some affiliate links / codes for Earthwise Beauty, Aurum Rose Beauty, Lina Hanson, Bella Aura, and Beauty Heroes, as stated above. You have the best taste in products. I have been eyeing so many of the products you listed including African Botanics Infusion and Yuli Ambrosia.